Cafes, restaurants, eateries, eating in, dining out. I’ve been horrified to discover that an entire year has passed since I last posted here. Interestingly – though not surprisingly – my lack of writing coincided with a full-time employment contract (which has now finished). I’m actually hoping to co-opt a few friends into sharing some content so things might pick up again. As a coeliac, I’ve enjoyed Cheryl Lyn’s Cafe, in Adelaide Street which caters to those (like me) with allergies. Alowishus Delicious continues to offer one of the more satisfying ambiences in the borough, making it a good place to catch up with friends. I’ve only briefly tried Parkside on Adelaide but though service was lovely there weren’t as many gluten-free options available to fussy ol’ me. On the daytime dining front, my mother regularly meets groups of friends at both Norma Jean’s Organic Tea and Coffee House at Tinana and Homewares from Everywhere in Baddow. Coffee lovers seem to continue to be drawn to Retro Espresso Coffee in Tiaro, SIP Espresso Bar (in two locations in Maryborough), Mad Mule Espresso Bar (currently in Tinana on the way into town but about to move) and the new drive through Fast Lane Drive Thru Coffee. When it comes to ‘finer’ dining, 71 Wharf has changed hands and is now again open Friday and Saturday nights and Ebb & Flow at the Brolga Theatre in Maryborough seems to be popular. I know some are looking forward to the opening of the re-vamped Carriers Arms in the next week or so and it, along with Westside Tavern remains a popular choice amongst Maryborough’s pub dining options, along with the Maryborough RSL (which has recently started weekend breakfasts). I’m often surprised also by the popularity of The Maryborough Sports Club (Sporties) on the ‘north side of town (as you’re heading to Hervey Bay) which I’m told offers excellent value for money. There’s been more movement in Hervey Bay. We already had some new cuisines popping up with Japanese at Tanto, Two Ducks Cafe & Asian Grocery at Urangan, Tres Salsas (for a great atmosphere) and Mexican food on the Esplanade at Torquay; and more recently Mee Mee Japanese Sushi and Korean Fried Chicken has opened at the Bay Plaza Shopping Centre. From Tres Salsas’ FB page: Octopus paella topped with a chilli, lime rocket salad. The Front Room, Bayaroma, Salt Cafe, Dan & Steph’s EAT, Vinvero’s and Bean Beat remain popular breakfast options and their esplanade locations help reflect their laid-back ambience. Of course the two eateries (and bars) RIGHT on the beach, Aquavue Cafe & Watersports and Enzo’s on the Beach have the upper-hand when it comes to ocean views. I’m still loving Enzo’s beanbags and vibe though struggle a bit more there on the gluten-free options front. Along with The Front Room (at Torquay), I’ve heard great things about Su Jus Bar (& Lifestyle Kiosk) at Pialba Place – for those of us with allergies, or the ultra-healthy. As for coffee-loving peeps (other than cafes already mentioned) I know Cody’s Coffee Shack on the esplanade at Torquay seems popular and a drive thru cafe, Miss Cocoa’s has just opened on Boat Harbour Drive at Pialba (next to the new Shell Service Station). COAST and The Vinyard Wine Bar and Restaurant are still the go-to fancy dinner spots, though I’m keen to also try the ($35 two-course plus wine) lunch The Vinyard has on offer; as its location is just perfect. Of course The Dock and Cafe Balaena at the Urangan Marina as well as Santini’s and Wild Lotus in Torquay all continue to be popular choices for special occasions or a night out. This post is becoming epic already (takeaway food will definitely need its own post) as I’ve not even touched on the pub and club dining scene. I did recently however have a nice lunch at Beach House Hotel at Scarness. It, along with the Hervey Bay RSL both offer kids’ clubs that are draw-cards for my friends with children. I think Hog’s Breath and others also offer free kids’ meals on certain nights so that would be worth checking out. I know as well that The Bayswater at Urangan has recently changed its menu and now offers lunchtime specials throughout the week. This list is far from exhaustive. I also kinda went off-script given I’d just planned to share a few new arrivals. It’s hard however NOT to mention some old faithfuls as well. From @frasercoast_eats on Instagram. Read it and weep. No… look at their feed and drool! To keep an eye on dining options on the Fraser Coast I’d recommend following my favourite Instagram account – which has introduced me to MANY new eateries, @frasercoast_eats, as well as @frasercoast_foodies. Feel free to leave any tips below about places I’ve missed. I really don’t get out that much and my allergies make it a bit more difficult. * The post includes Facebook or website links to all of the cafes I’ve listed. I’ve been ridiculously slack on the blogging front here – despite having planned to write about some great experiences I’ve had over the past few months. Instead I thought I’d try to regularly share a few snippets of the stuff I’ve been getting up to / enjoying, OR… (more importantly cos I’m hermit-like, lazy and sometimes hate being around people), stuff I hear about. I walked out of Complete Wellness Holistic Therapy yesterday and was only capable of sending a group of friends the très eloquent message, O. M. F. G.
I’d had my second massage with Gabby – the first being a gift from a friend for my recent birthday – and I was floating on air. She’s amazing. She achieves that balance between a massage being therapeutic and pampering (ie. I’m not in excruciating pain, but she hits the sore spots and equally makes me feel blissed-out). She also helps me relax with breathing exercises and finishes with a singing bowl thingy that is just magic and leaves me a little tingly… and no, not in THAT way, but in a ‘life is good’ kinda way. I never want the bliss massage to finish so plan my next one as I lie there getting my back and shoulders unknotted! I spent almost 5yrs back on the Fraser Coast before heading out on the water. In a boat. (And longer by foot, but that’s another story). A friend held her 40th birthday party on Whalesong Cruises last winter and the champagne and sunset cruise was a magical experience. We received a drink on arrival (and can buy more obviously) and A LOT of delicious food is included in the price. Like LOTS. I’m coeliac and they had an entire array of stuff especially for me. Fast forward a few months and I went whale watching with my local bestie and godson. Obviously there are a plethora of options here in Hervey Bay, so we based our choice on price and the fact we really only wanted a half-day cruise in case the just-turned-6yr old got bored. We went with Hervey Bay Whale Watch (which offers a ‘locals’ discount) and had a great day. The crew were fabulous with 6yr old birthday boy Pickle and let him hang about in the captain’s cabin. A basic morning tea was served and other snacks and drinks were able to be purchased. And then…. I hosted friends aboard a champagne and sunset cruise for my 50th birthday just after Christmas. Because I wanted to book the entire boat, have limited friends and budget, and had heard great things about their catamaran I went with Blue Dolphin Tours. Jodie and Peter were fabulous (& flexible) as I was nervous about the weather and so forth. The cruise is basically the same price as Whalesong, though there’s less distance travelled – you cruise for a while and then are moored somewhere between Hervey Bay and Fraser Island. The nibbles are fairly basic but guests are offered ‘unlimited’ alcohol. Which was perfect for the 90minute cruise. It’s certainly one of the best days of my life and one of my favourite experiences. EVER. The Dock Bar & Restaurant opened a while ago now and I had THREE events there over the Christmas period. I love the atmosphere and it’s a great plate-sharing / tapas type venue. Everyone I know who enjoys healthy food has fallen in love with The Front Room. Offering vegan and organic food it’s perfectly located on the Esplanade in Torquay and is an acai-bowl / raw pizza-lovers delight. Close friends of mine visited the new (Friday and Saturday night) Taco & Tequila Bar at EAT at Dan & Steph’s this past weekend and couldn’t have loved it more. They’re foodies and from all accounts the food and drinks on offer were fabulous. I’ve not been there yet but am desperate to go to Alowishus Delicious in Maryborough just because it looks so BLOODY amazing. I interviewed Cate Akaveka – owner of Mary Ryan’s Hervey Bay – a while ago, and she’s a friend of mine. Since that interview, Mary Ryan’s has moved to the esplanade and certainly has taken on a whole different vibe. I suspect they’ve kept a lot of their old customer base but gained more. As I said in that interview, I love that Mary Ryan’s host a range of events. A friend and I recently attended one of their monthly Philosophy & Coffee sessions (discussing whether ‘romance had ruined love’) and were gobsmacked that there were so many of us (like 30 or so) that we had to break into two groups. It was a fabulously mixed / eclectic bunch and everyone in my group talked about how much they enjoyed ‘deeper’ and more philosophical conversations. Phew. This has actually been much longer than I intended it to be…. I think I’ll try to make this a monthly thing. Like a newsletter, except in blog post form. PS. Apologies for the crap pictures. They’re all from Instagram / Facebook and attributed appropriately (as far as possible). I’ve also included website / Facebook links to the places I’ve talked about. I’d welcome any comments…. massage therapists you’d recommend, places to eat and so forth. It came about for a few reasons…. Fast forward a few months and I was commenting on someone’s Instagram picture… and discovered we were both off to a morning tea with a visiting author the next day. We decided it would be lovely to finally meet but as my friend and I kept an eye out at the event, I realised I’d really only seen a postage-stamp sized picture of the person and their face wasn’t fully visible. And last weekend friends and I were out having drinks when I saw someone else I recognised from Instagram… and given that all three of us posted pictures of our drinks (yes, we’re walking clichés!) I knew that person would see our pics and know we were there. “I’ve been thinking we should have an Instagrammer or social media users-meet up,” I said when she came over. We discussed the fact that sometimes feel as if we know these people – where they eat, what they do and so forth – although we may not have met in real life (IRL). Don’t get me wrong, I’m not looking for a bunch of new besties, but it’d be nice to recognise a few familiar faces when I’m out and about… not to mention knowing whose pictures I’m seeing or commenting on, online. So… I posted the invitation on Instagram. Sadly I wasn’t overwhelmed with offers to organise a gathering, but someone messaged me and offered to talk to a venue suggested as a potential meeting place. So I randomly suggested a time and date and voilà ! We have our first meet-up all organised. Kinda. I’ve tried to reassure potential attendees that this is very informal. It’s merely the opportunity for people to catch up and discover each other. I AM going to take along sticky labels so people can add their names and social media ‘handles’ so they’re identifiable. I learned that lesson the hard way after going to something when I had my first Twitter account with the handle of @rockafellaskank (long story, don’t ask!). So even though I’m @debbish on most social media platforms, I’m actually Deborah. In case you were wondering. The aim of the gathering is just to meet like-minded people, rather than promote businesses and the like. It’s purely social. We’ll set up a spot for kids and – though I’ve not been there – I hear The Front Room has some fabulous healthy food, which will be available for purchase on the day. If you’re shy, never fear… I’m an introvert but rabid networker so will come and say hello if you’re hanging back. And I’m pretty sure the group will be a friendly and welcoming bunch. Feel free to just drop in at some point during the afternoon. RSVPs aren’t necessary though we may be in trouble if hundreds of people turn up! 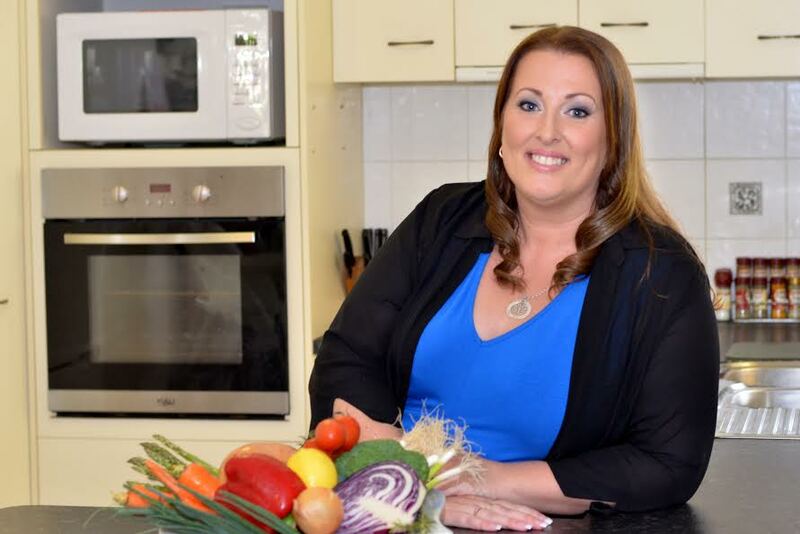 When Hervey Bay nurse and mother of three Paulene Christie started a slow cooker Facebook Group almost three years ago, she had no idea she was creating something that would change her life. Paulene once viewed cooking as a necessary evil—something she did to feed her family. But that all changed when she got her first slow cooker. She soon realised, as well as the more traditional dishes like soups and stews, the slow cooker was surprisingly versatile and could be used for lasagnas and desserts. Before she knew it the slow cooker had become a cherished kitchen appliance, saving her time and money. Paulene started the Facebook Group Slow Cooker Recipes 4 Families in the hope of finding more slow cooker recipes. She’d visited other sites but could not find what she was looking for. Since its launch in late 2012 the Facebook Group has grown beyond her wildest expectations. Membership currently stands at over 390,000 with members coming from all over the world. Paulene credits the group’s success with the fact it’s 100 percent slow cooking. There are no jokes and memes. No ads and no non-cooking questions. Activity on the Facebook Group is constant, and sometimes frantic. Paulene now has a team of eight people who help monitor its activity. Members help each other, requesting advice and offering suggestions. It’s a very supportive environment and members feel comfortable sharing their failures as well as their successes. By mid 2014 the limitations of the Facebook Group became obvious and Paulene realised they needed a searchable database of recipes. Unfortunately, with a family to support, Paulene didn’t have the money to invest in the creation of a professional website so a friend suggested she look at crowdfunding. “I initially resisted as I didn’t think anyone would want to donate money and I worried I’d be criticised. But I was convinced to go ahead and let people decide for themselves. Although Paulene has invested far more in the site since its inception, she knows it would not have been possible without the support of her community. For that reason, she says, she’s committed to keeping the Slow Cooker Central website free to use. Over 1650 recipes have now been uploaded onto the website. New recipes are added every day and the site receives over one million hits per month. The Facebook Group continues to thrive, serving as a discussion forum—a platform Paulene intends to keep. In fact, slow cooking’s very much become a family affair in the Christie household. Not only has Paulene’s love of slow cooking started a mini online revolution, it also means she’s now a published author. Publication involved a gruelling seven month process for Paulene and the editing team, but it was all worth it when the book was released in late May. It was so eagerly awaited by the slow cooking community it went straight to number one on the non-fiction best seller list and number two overall. Paulene’s not surprised by the popularity of slow cooking, decades after crock-pots first appeared in homes around Australia. “People love that it saves them time and money, and sometimes even helps them eat more healthily. “At the end of the day everyone is tired and there’s the temptation to resort to takeaways—an expensive and unhealthy habit. With slow cooking, dinner is ready to simply serve. As for those who still think of slow cookers in terms of soups and stews dating back to the 1970s, the recipes on the website will come as a surprise. “We’ve had big fads take over the group in waves,” said Paulene citing cola beef, fudge, slow cooked caramel and christmas cakes as recent favourites. “I love watching to see what will inspire people next,” Paulene says of the fact play dough and finger paints have recently become a popular topic. As for Paulene’s personal favourites; she says her popular Lamb Obsession is without a doubt her number one choice, followed by a sweet lamb curry and her husband’s creamy garlic prawns. “Breakfast quiches are almost a daily feature in my slow cooker,” she said. Paulene’s adventures don’t look like slowing down any time soon. 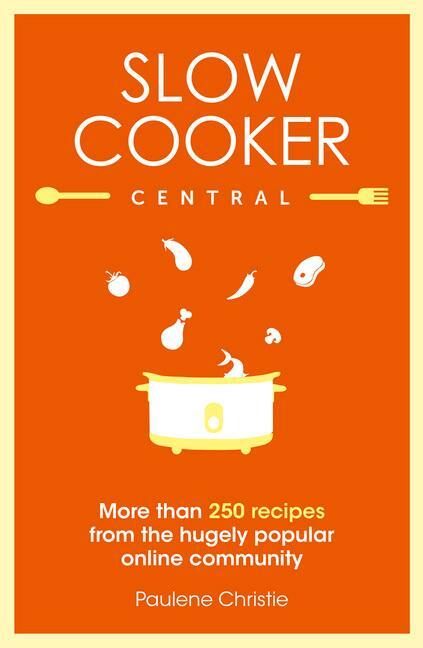 Before Christmas she’ll be launching a Slow Cooker Central App and revamping the website. “We’re making a major investment in the site to include more of what our members want,” she said. On top of that she’s already signed contracts for more Slow Cooker Central books —in June 2016 and 2017. It’s going to be a busy time. Note – I’ve also posted this interview at my primary blog, Debbish. Thanks very much to Paulene for her time and I can’t wait to see how the group continues to grow! Check out the website and Facebook Group for yourself. Are you a fan of the slow cooker? As an avid reader and lover of books it’s a no-brainer that I adore bookshops. I particularly love that they’ve morphed over the years and become so much more than places you buy books. Not only can you enjoy coffee and snacks, but many create a wonderful sense of community and promote a love of reading and books to future generations. Mary Ryan’s Hervey Bay (MRHB) does exactly that. I first met owner Cate Akaveka when I attended an author event not long after she purchased the store and was impressed with her obvious love of reading and passion for sharing that with others. Cate and her husband moved to Hervey Bay from Sydney in 2001. Her oldest (of two boys) was a baby and they were keen to move out of the city and try a different lifestyle. Cate really liked the staff and was very happy when they all agreed to stay on after she purchased the business. Cate says she’s always been a passionate reader and still has a lot of books from her childhood. I follow the MRHB Facebook page and am often agog and the myriad of activities on offer. They have a couple of book clubs—including one for teenagers—which meet monthly. There’s a French conversation group that meets one Saturday each month. And on the first Saturday of each month, there’s a get-together called Coffee, Tea, Philosophy. It’s a group Cate started because she really wanted to have some meaningful and thought-provoking discussions about things that matter. Fortunately, a few other people felt the same way and this group has now been meeting for over 12 months. Newcomers are always welcome, so it’s something I’m pencilling into my diary! On top of all of the regular activities I also love the author events on offer. Cate says these events are her favourite part of the job. MRHB’s cafe is always busy and Cate suggests the that’s because the food and service are consistent and the staff have been there for a long time. In fact Café Manager, Chris, was actually on board before the café even opened. Cate also thinks customers enjoy the ambience… that the book / coffee combo creates a homely and welcoming feel. The store doesn’t have a full kitchen so focuses on light lunches, cakes etc. Not having a set menu means the MRHB team can mix it up a little. In winter (generally May to September) the store offers home-made soups and in summer, pasta and salads. And something I didn’t know… was that from 2-3pm on weekdays, they have a happy hour with half-price tea and coffee. But back to books… Cate loves some quirk and names Tom Robbins as her favourite author. And her favourite genre? Literary fiction—books she describes as well written and featuring words in a way that make her want to read them over and over again. She picks Midnight’s Children by Salman Rushdie as the best book she’s ever read with Richard Flanagan’s Narrow Road to the Deep North coming a close second. 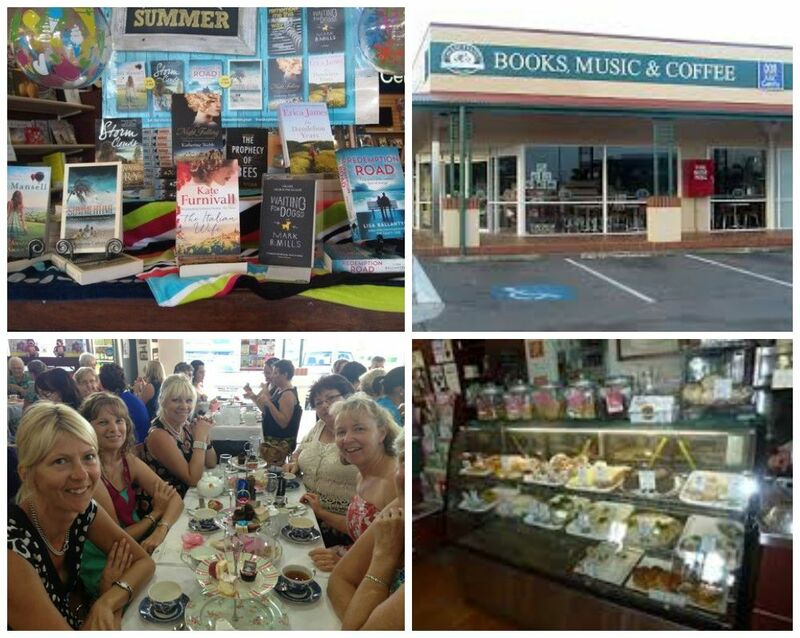 Pop into Mary Ryan’s Hervey Bay and say hi to Cate and the team. You can find them at shop 5, 15 Central Avenue, Urraween (opposite Stockland Shopping Centre). Telephone: (07) 4194 2111. Follow them on Facebook to keep up-to-date with their latest activities! 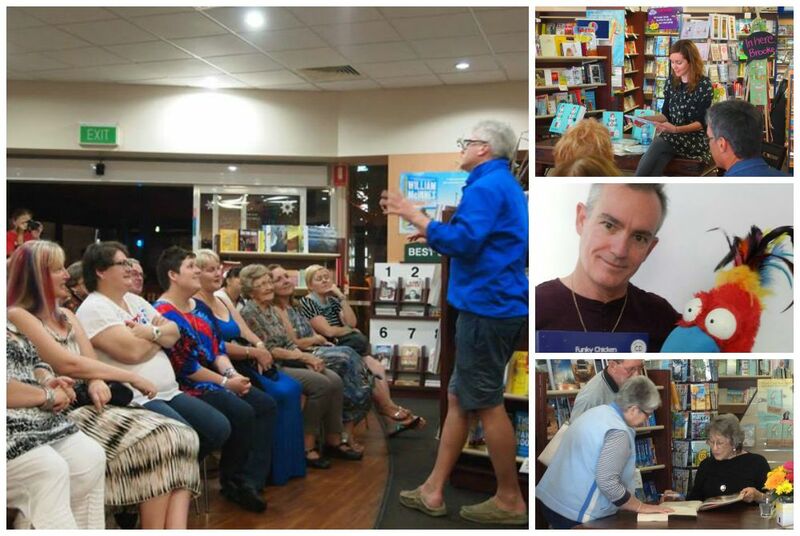 Check out Cate’s recent interview about the closure of ABC Bookshops and any impact it may have on Mary Ryan’s Hervey Bay.